Income with Jamie Review – A True Affiliate Marketing Success Story? Jamie Lewis has been one of affiliate marketing’s real success stories for years, and he isn’t afraid to show it. In Income with Jamie, the newest version of his education series for beginner affiliate marketers, he offers members the chance to benefit directly from his experience by giving them access to a series of informational videos and live webinars. Jamie’s success in the business of online marketing is easy to verify, and in Income with Jamie he promises to tell you exactly how he got there so that you can repeat his success yourself. Income with Jamie is aimed at complete beginners to the world of affiliate marketing. A working knowledge of computers and the internet is really all you need to get started: the lessons and webinars take you through the process of making money through affiliate marketing slowly, informatively and in plenty of detail. 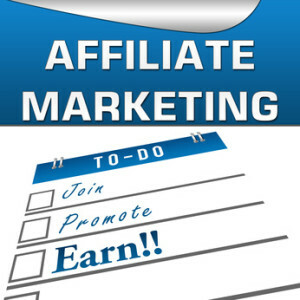 If you are a particularly quick study then you might find Jamie’s slow pace and long videos a little cumbersome, but the information is digestible enough for even a complete novice to get a firm grip on the basics of affiliate marketing online. More experienced users can still benefit from the program with additional videos and tools helping you develop traffic flow and marketing strategies. Unlike a number of affiliate marketing systems and tools, Income with Jamie does not make any promises to automatically make you effort-free money. Jamie’s product is his success as an affiliate marketer, and Income with Jamie offers you access to the methods for that success via a series of video lectures and live webinars. The videos take you step-by-step through the basics of setting up your own affiliate marketing business, while the webinars tackle more advanced topics like traffic generation, selecting products to endorse and smart marketing strategies. 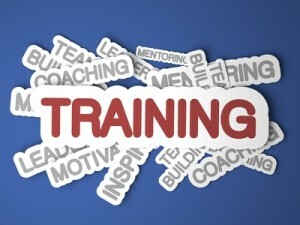 Training is where Income with Jamie really excels, because training you to be successful with affiliate marketing is what Income with Jamie is all about. The videos are long and comprehensive, and they walk you through setting up your accounts, designing your web presence and generating traffic from the ground up. In addition to the comprehensive archive of video lessons, you also get two weekly live webinars, both of which are recorded in case you miss them or want to watch them again later. The videos themselves are long and very easy to follow. Jamie’s style won’t be for everyone: he takes a very casual approach and doesn’t always get to the point quickly, but when he does it is almost always a very useful lesson about setting yourself up for success with affiliate marketing. The videos and webinars are the main tools that Income with Jamie provides, but when you sign up you also get access to a members area with a comprehensive forum system and a selection of recommended tools to help build your business. Web hosting, autoresponder systems and mail marketing services are all offered as upsells, and, while they are all additional upsells and can be cheaper elsewhere, it is certainly convenient to have those services available to purchase right as you learn what to do with them. You also get one one-on-one consultation with Jamie as part of the series; while you’re encouraged to do that straight away, see if you can put it off until you’ve watched enough of the videos to know the basics of affiliate marketing, so you can get some more technical questions answered in detail. If the support Jamie offers his students when it comes to learning about starting an affiliate network is detailed and comprehensive, actual customer support sadly isn’t nearly as good. One of the most frequent complaints on user forums is customer support just not responding to technical issues, login problems and payment issues. Despite Jamie’s 60-day money back guarantee, refund requests seem to be handled particularly slowly by customer service. The member site is easy enough to navigate if everything is working properly, but if not you’re left without a paddle. Con #1: the organization of the videos isn’t great. It can be hard to know where to start and what order to watch them. 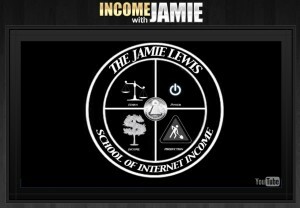 Income with Jamie has a pretty attractive introductory offer: for just $1, you can access the videos and webinars for seven days. After the seven days are up, you’ll be automatically billed the monthly fee of $97, so get the most out of your first seven days or it starts being an expensive experiment. The pricing seems to change slightly every few months, but right now your $97 per month gets you 24 weeks of access to the training videos, with two live webinars per week (and recordings of the webinars in case you miss them). Income with Jamie does offer a 60-day money back guarantee, but one of the most common complaints from customers is that refunds are processed sporadically – if at all, so it’s best to make your decision and stick to it quickly. Once you have access to the members area, you’ll find plenty of upsells available for you to purchase. You can buy additional video lectures a la carte, and Jamie also offers hosting, autoresponder services and other web products through his own affiliate links – all, of course, conveniently available when you reach the relevant portion of a video. Buying all of the upsells would run you well into the thousands of dollars; thankfully, very few of them are absolutely necessary to get the most out of Jamie’s videos. If you’re willing to do some independent research, you can find most of the products that are absolutely necessary for succeeding with affiliate marketing – like web hosting and mail marketing services – for considerably cheaper than Income with Jamie offers. While the organization is a little haphazard and customer service could definitely use some improvement, Income with Jamie really does offer a solid product for people looking to get into the affiliate marketing game. Because you’re buying access to educational videos and not a one-click solution, Income with Jamie can’t offer you any kind of guarantee that it will make you money: it’s up to you to implement what you learn into your own affiliate marketing business. Having said that, the step-by-step learning tools give you far more resources to succeed long-term, even if you won’t start making money quite as quickly. If you’re looking for a way to make passive income with one click, then look elsewhere; but, if you’re willing to really learn the business of affiliate marketing, then Income with Jamie is a great place to get started. Get started today in my #1 rated program at no cost. This is not a trail period and you will not be charged later because no credit card is required. The premium membership is half of the Income with Jaime program and there are no upsells in the membership area.